Nothing screams summer like a couple scoops of sorbet. For the longest time I was completely intimidated to make my own sorbet ... and I am really not sure why. Maybe the name intimidated me more than anything, so I brushed aside sorbet recipes. However, that changed this past weekend. What sent me over the edge and into sorbet making abandon was a bunch of fresh plums that I received in my weekly CSA bag. I love the last few weeks of July as stone fruit can be found in abundance, at least here in California. I grew up having one of the prettiest views (at least to my liking) from my bedroom window ... a glorious plum tree that was the home to several families of sweet song birds. I remember the day my dad had to cut it down and my view was never quite the same. Thus, my love affair with plums started at a young age and has carried on into adulthood. 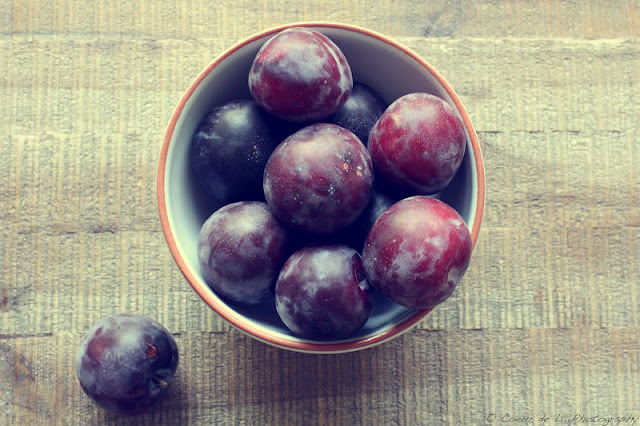 So, it was over this past weekend that I found a recipe for Plum Sorbet that I knew I had to try and surprisingly, it was one of the most approachable and simplistic recipes I have ever used. I brought out my ice cream maker (which also makes sorbet) quartered and pureed my plums, pushed the puree through a sieve, added a 1/4 cup of sugar to my pureed plums, a teaspoon of freshly squeezed lemon juice, and a 1/4 cup of water, stirred, and then poured my sorbet mixture into my ice cream maker for thirty minutes. Afterwards, I scooped the sorbet into a large bowl that I covered and placed in the freezer for two hours. 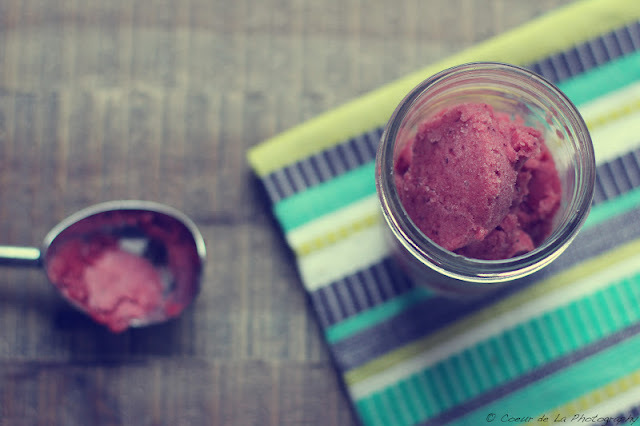 During dinner I could hardly wait to scoop sweet summer plum sorbet that was entirely homemade ... by me. And with every spoonful, I promised myself to never let a recipe intimidate me again as one may never know the outcome. 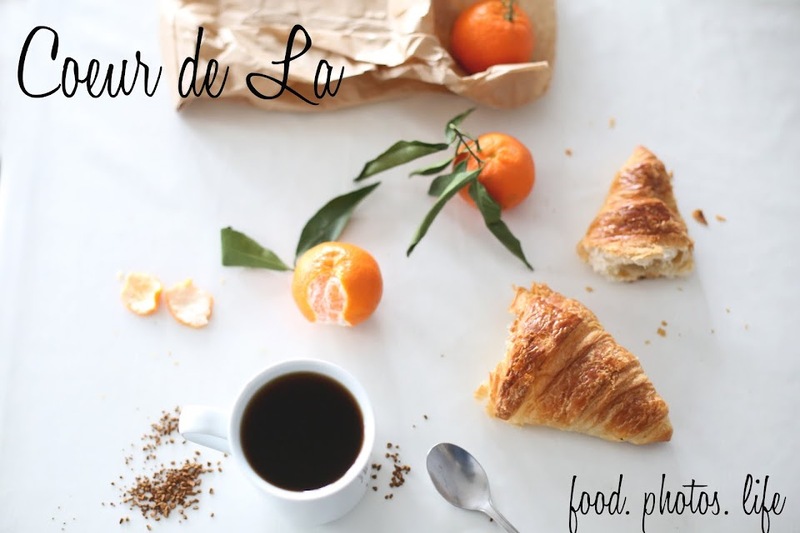 Happy Monday everyone ... bisous. Thank you Jess. Love your work as well!!! i am beyond jealous of all your magical food skills! and your photos are always so flawlessly beautiful... i can't imagine how it all tastes! Brittany honestly, your comments are always the sweetest!!! Thank you! You remind me why I need to post more as you are always so encouraging and uplifting. BISOUS! i'm intimidated...but that looks so good!!! you are a chef extraordinaire! this is absolutely fantastic. it looks so delicious, refreshing, and fruity! Taylor ... your comments always make me smile from ear to ear. ALWAYS. It's been so long since I've visited your blog! I just finished catching up on your posts...sounds like you're having a lovely summer :). 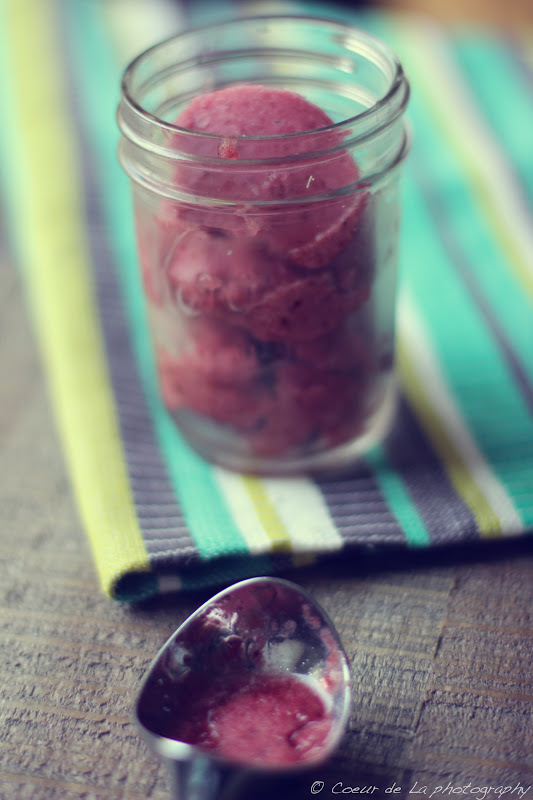 This plum sorbet looks so refreshing and I love the story of the plum tree outside your window. Happy Monday! Oh, this sounds heavenly–I adore plums! Thanks everyone for the sweet comments. I am finding with warm Summer weather their is nothing like a scoop of fresh fruit sorbet. YUM! what a great idea...Ariyana ate a plum today and said it was too sweet-I couldn't understand that at all...but I think she would love plum sorbet. Lovely photos too Caroline. Yum! We made homemade ice-cream last night!